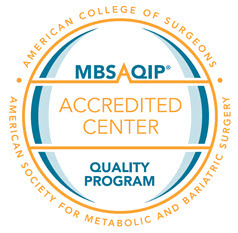 Winchester Hospital is a MBSAQIP Accredited - Comprehensive Center and is recognized by Blue Cross and Blue Shield with the Blue Distinction honor for quality outcomes. Find a Winchester Hospital doctor who specializes in weight-loss surgery. Read a testimonial from a weight-loss surgery patient at Winchester Hospital. Learn about our Weight Loss Surgery Support Group. Winchester Hospital’s team wants your weight loss surgery to be a positive experience that brings you long-term success. As part of our multidisciplinary approach, if you seek weight loss surgery you will receive education from your surgeon in his/her practice, a visit from a nutrition specialist in the hospital, contact information for your surgeon in case you have questions or concerns, and a follow-up phone call from Winchester Hospital or the surgeon’s office to check on your status after you leave the hospital.